UNITY News – UNITY, Inc. Win Complementary Registrations to the 2019 National UNITY Conference by telling UNITY about your wellness events and service projects! 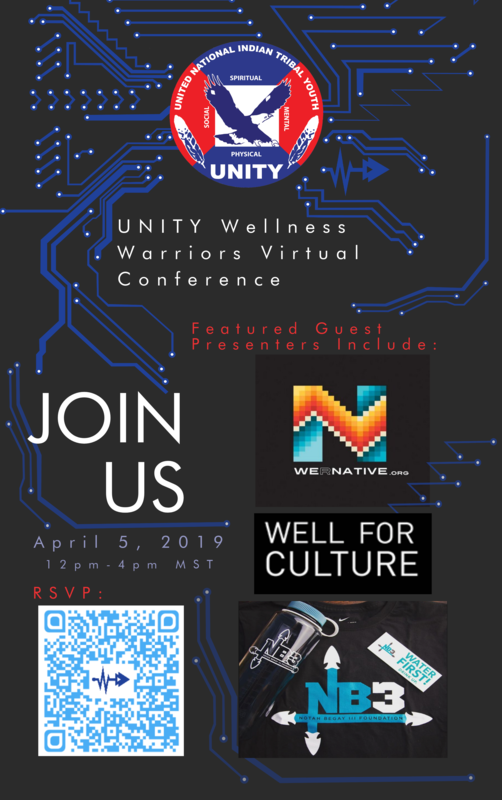 To celebrate the third year of UNITY Wellness Warriors, Native youth can create a short 3 minute video to be entered to win 3 Free Registrations. Three Youth Council videos will be selected to be featured at the UNITY Wellness Warriors Summit in Orlando, FL this July! Native youth voice is powerful. One way of expressing that voice is through the adoption of a national initiative by the National UNITY Council (NUC). 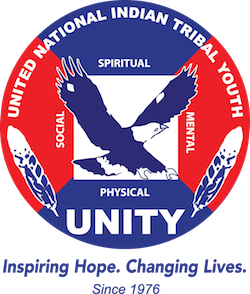 The initiative paves the way for UNITY youth and others to take part in a special movement and to help make an impact in Indian Country. After much reflection by the NUC’s affiliated youth councils and elected youth leaders, UNITY is pleased to announce “Opportunity for Unity: Our Home is Here” initiative. 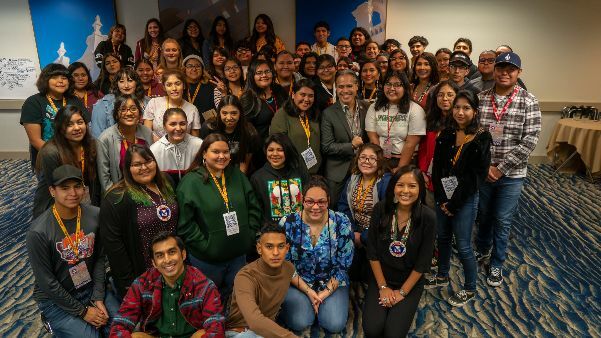 UNITY Youth Leader and former UNITY 25 Under 25 Leadership Award recipient TaNeel Filesteel elected the American Indian Higher Education Consortium (AIHEC) Student President for 2019-2020. TaNeel is from the Fort Belknap Agency, in Montana and is currently studying Tribal Governance and Administration at Salish Kootenai College in Pablo, Montana. With months of planning and in partnership with Arizona State University, UNITY successfully hosted its first ever virtual conference earlier this month. Through UNITY’s Wellness Warrior Program, funded by the W.K. Kellogg Foundation, UNITY spearheaded the free event with as many as 20 watch parties participating. In all, it’s estimated a few hundred viewers logged on from around Indian Country to participate in the live general sessions and online breakouts. Many of the watch parties were hosted by youth councils. Imagine an opportunity to speak about youth empowerment, youth voice, higher education, STEM and community service in front of hundreds of people. The opportunity for UNITY and other non-profits happened last month during a panel presentation at the Reservation Economic Summit (RES) in Las Vegas, Nevada. UNITY is seeking those interest in conducting a workshop at the 2019 National UNITY Conference taking place July 4-8, 2019 in Orlando, Florida!